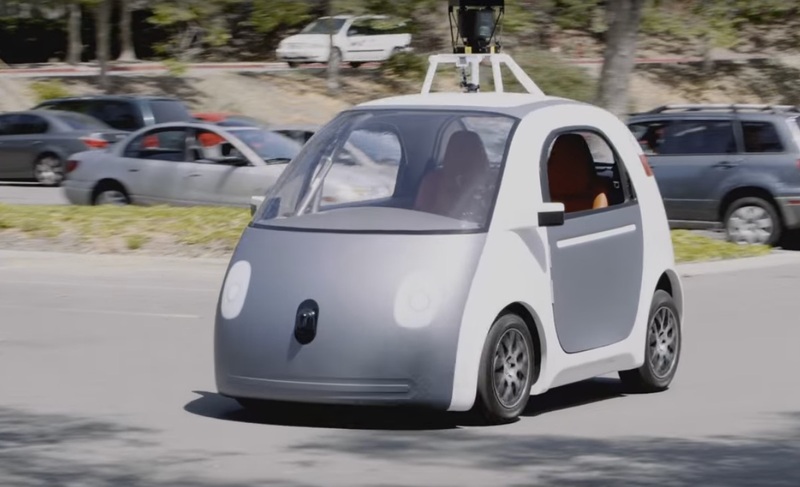 Google has focused for years on designing and testing its own autonomous car — a cute little two seater with no steering wheel, accelerator or brake pedal. But now it appears the company is abandoning that program. A report in The Information via TechCrunch says Alphabet CEO Larry Page and CFO Ruth Porat are behind a decision to abandon that program and focus instead on partnerships with traditional car companies. The objective is to have an autonomous ride sharing service up and running by the end of 2017. Google co-founder Sergei Brin is reported to still favor moving forward with the self-driving Google car, known internally as the Chauffeur program. But that car can only transport two people. Google has entered into a partnership with Fiat Chrysler to add 100 specially modified Chrysler Pacifica Hybrid minivans — which can carry 8 passengers — to its test fleet. Those cars are being developed jointly by Google and FCA at a dedicated facility near FCA headquarters in Michigan. Jalopnik’s Jason Torchinsky speculated the Tesla minibus would be based on the Model X and Musk confirmed that guess in a tweet. Some good guessing by @Jalopnik. The Tesla Minibus will be built on a Model X chassis. People density potential is surprisingly high. Why are so many companies interested in getting into the ride sharing business? Money. “Ride hailing is nothing more than manual autonomous driving,” Tony Douglas, Head of Strategy for BMW’s mobility services told Reuters recently. “Once you dispense with the driver, you have a license to print money.” Case closed.